The underlying logic of the exposition is an architectural approach that envisages the integration of the complex on the west bank of the city of Astana. The urban planning draws on the principle of multicentrism, the most interesting basis for sustainable development in big cities. The exposition centre should benefit from easy access, via the intercity road network and a convenient transport infrastructure for Astana’s residents and visitors. 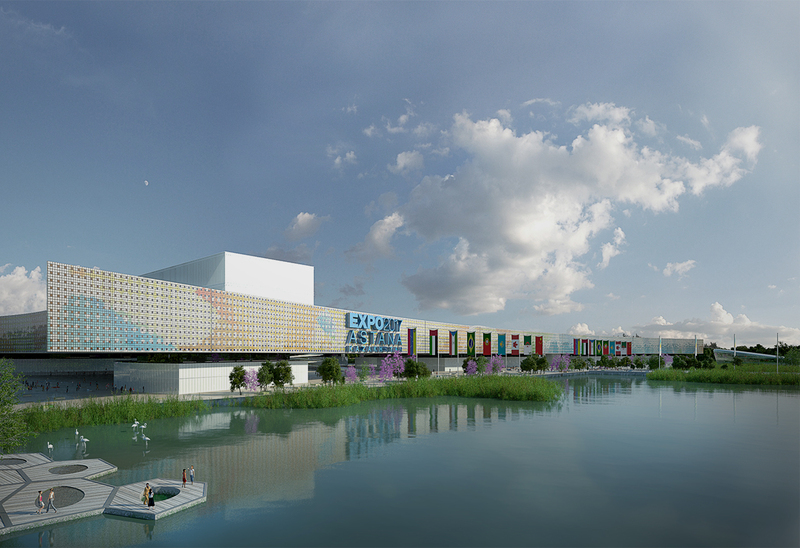 The project designed for Expo 2017 was organised around two fundamental axes, intersecting at 90 degrees. These axes are orientated North/South and East/West. Located close to the axes’ intersecting point is the “symbol” of the Expo: the strong relationship between the event’s iconic building and the Bayterek Tower results in the augmented and improved interconnection and relationship between the city centre and the Exposition site. The designated area for the event is demarcated by a green band which, together with the reservoir, constitutes a significant and deliberate element of framing based on the design of the surrounding landscape. Together they respond directly to the specificity of the local climatic conditions: extreme heat in the summer and extreme cold in the winter. 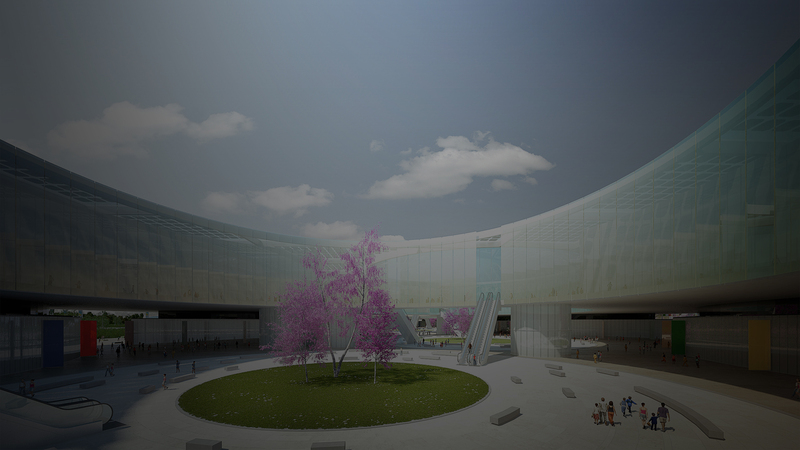 The main building floats above the Expo site over a free-flowing square, supported only by a small number of rounded forms. The extensive public space on ground level has a dynamic effect, inspired by traditional yurt camps, a recurrent motif in the collective imagination of the Kazakh people.